Have you ever encountered someone who seemed to have all the material wealth anyone could want but who did nothing but complain? Have you ever seen the joy flood the face of an impoverished child when someone offered her a new toy? If so, you’ve seen firsthand that it’s not material things themselves that bring happiness, but rather a readiness to receive these things with humility and joy. We’re to be grateful for His provision [2 :172], for success in battle [3 :123], for His forgiveness [2 :252], for His guidance [2 :185], for the promised reward of the hereafter [3 :145], and for myriad other blessings. Allah (swt) commands us to do something that’s guaranteed to bring us joy— a powerful indicator of His unending compassion for us! Such a response doesn’t actually display a sense of gratitiude, but rather a resentment concerning the obligation to be thankful. But the truth is that even in the middle of terrible trials we can always feel gratitude for something. We can feel grateful, for example, that our trials aren’t as severe as they could be. We can be grateful that Allah (swt) loves us enough to test us in order to help us become better people. We can be grateful for all the simple little things in life that even pain, sickness, strife, and financial problems can’t erase. We’re plainly living in a time when materialism has a stranglehold on humanity that can only be escaped through diligent spiritual practice and remembrance of Allah (swt). These things can help us to combat the terrible pressure to ‘’keep up with the Joneses,’’ throwing away our hard-earned money, money that we have only because of the generousity of our creator, on things that we don’t need but simply want to have in order to impress others. And the shortlived joy we feel on purchasing these consumer goods quickly fades as soon as we see someone with soemthing better. 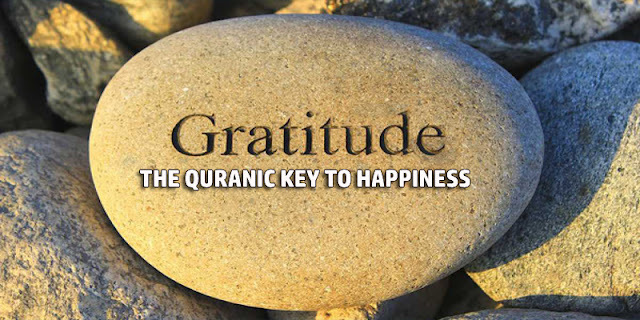 Let’s cultivate a spirit of thankfulness in all areas of our lives and take advantage of the wonderful opportunity we have in rakah to simply stop everything and let the joy of gratitude wash over us. May your mind and heart be opened, enlightened, and nourished.